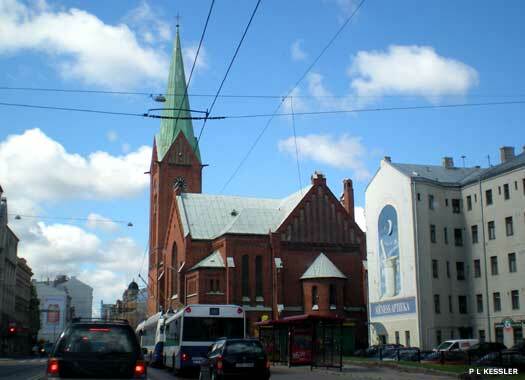 Old St Gertrude's Evangelical Lutheran Church (Jaunā Svētās Ģertrūdes luterāņu baznīca in Latvian) stands at 119 Brīvības iela (street), on the south-west corner with Tallinas iela, north of the River Daugava in Latvia's capital, Riga. The Gothic church was built by the architect J D Felsko in 1864-1896, with the completed building being consecrated on 2 March 1896. With a spire that is sixty-three metres (yards) high, it was dedicated to the patron saint of travellers. St Alexander Nevsky Orthodox Church (Svētā Aleksandra Ņevska pareizticīgo baznīca) is at 56 Brīvības iela, on the eastern side between Lāčplēša iela and Blaumaņa iela, north of the River Daugava in Riga. 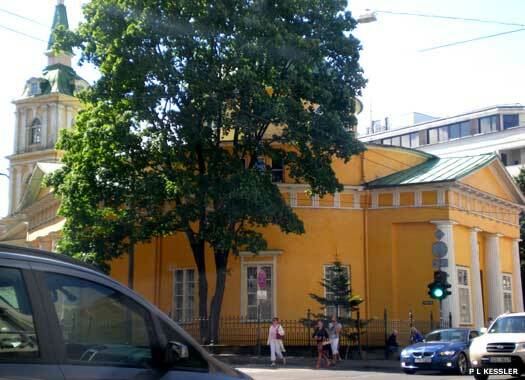 Less grandiose than the Alexander Nevsky Cathedral in Tallinn, this Classicist building was erected between 1820-1825. It was built in wood, which was then plastered and painted. The dome is supported by twelve columns while the belfry is now empty. 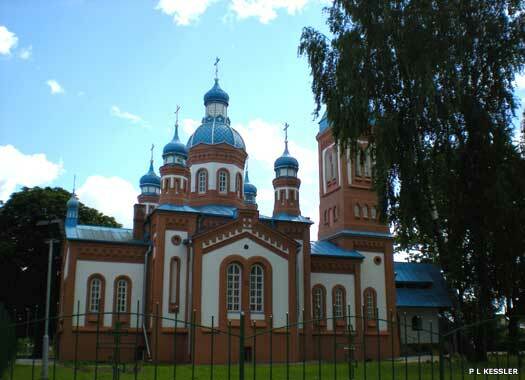 Baltezers Church (Baltezera baznīca) is on the western side of the A1 road (part of the Via Baltica), on the narrow strip of land between the two Baltezers lakes, immediately north of Riga. The Baroque church was built by Bernhard Joahimus of Mazungen in 1772-1775, with a polygonal altar and a square west tower with small spire. 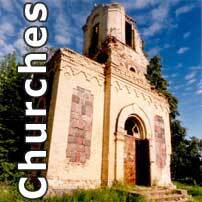 During the Soviet Period, the church was vandalised; its interior was destroyed, the altar and organ was crushed, and the steeple knocked down. 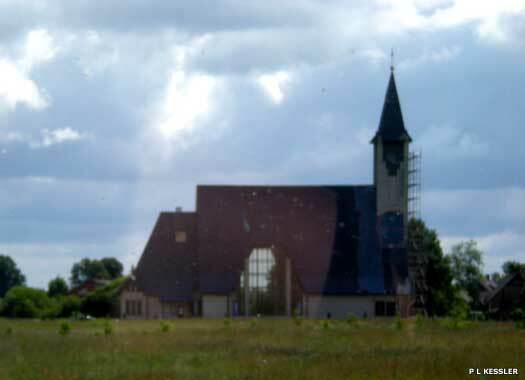 Iecava New Church is on the western side of the Via Baltica at the junction with the P93 side road, immediately south of Iecava itself in Bauska County. The church was built between 2007-2010, although from a distance its form appears very traditional. The town was more normally known by its German name, Gross Eckau, until the beginning of the twentieth century, and was the scene of a victory over Russian forces by Prussian troops fighting for Napoleon in 1812. St George's Orthodox Church (Sveta Georgija pareizticigo baznica), Bauska, is on the southern side of Uzvaras iela (street), very close to the junction with 1.maija iela, on the western side of the town, in southern Latvia. The church was constructed in 1881 (or 1871) by architect J F Baumann. It underwent a rebuild in 1991 which replaced some original features while leaving others in place. The towers were restored and gained their distinctive blue between 2006-2010. 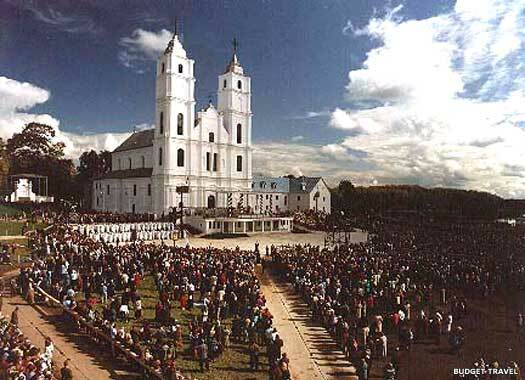 The Basilica of Our Lady of Aglona is close to the P62 road in Aglona, in Daugavpils County. Also known as Aglona Cathedral, the original church here was built in 1699 on a pagan religious site by the Dominicans. It was a simple wooden structure. The following year a Dominican monastery was built, but both church and monastery were destroyed in a fire of 1766. The present church was built in the Italian Baroque style between 1768-1780 and is a major pilgrim site. 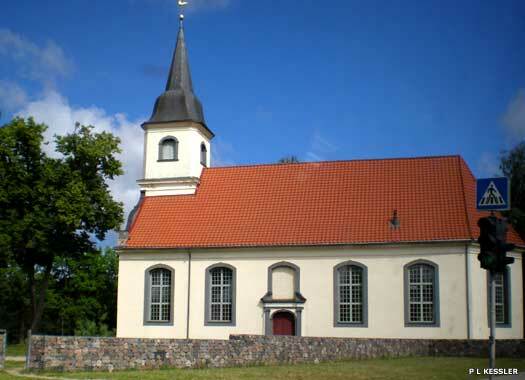 An index of churches in this Baltic States country, immediately south of Estonia.